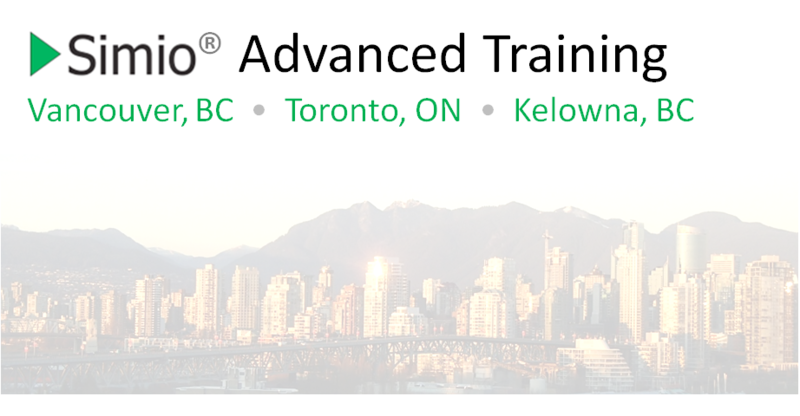 Fees for the three-day Simio Advanced Training course are CAD$1,495 plus applicable taxes. For more details or information about registration, please contact Bailey Kluczny. Please note: Training classes may be subject to cancellation due to insufficient enrollment. If this is necessary, all registrants will be notified in advance and fully refunded.